This week I have been working on making more Garter Stitch Hats. For these hats I'm using Cascade Eco. I started and finished one in fawn and started one in otter. I'm loving these hats. As I mentioned before, the yarn is so soft and the garter stitch makes them nice and thick. They will be great for winter. I have a few colors left to make and then I will get the pattern posted. I'm also hoping to get these added to Etsy soon. Hooray! 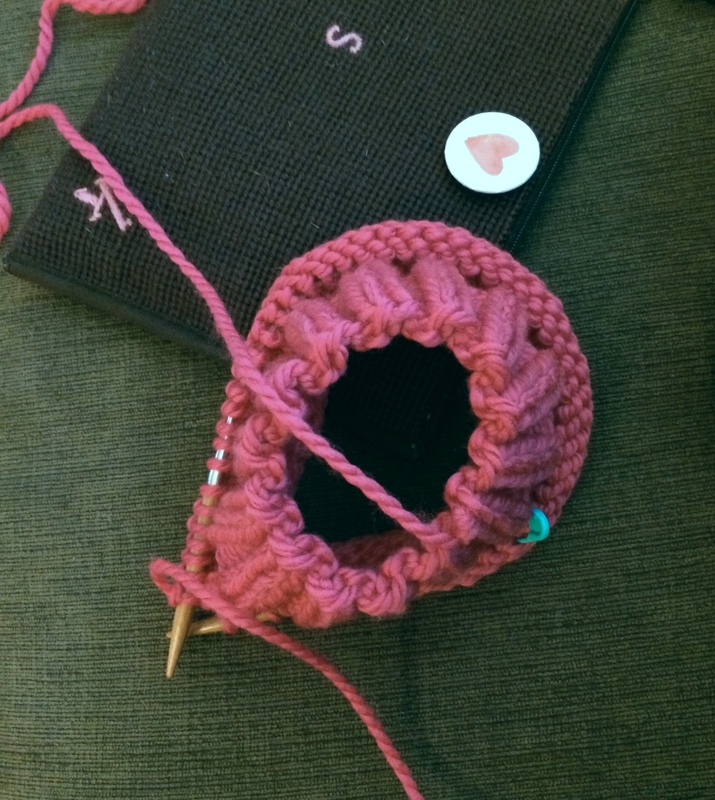 I also started and finished a bright pink chunky hat. I used Cascade 128 Superwash in cerise. Cascade 128 Superwash is a superwash merino wool. I have only used this yarn once before and it was awhile ago. I really liked it. At first I thought it was a little shiny, but once I finished it, the hat looked really nice and is really soft. I will definitely order more of it for chunky hats and mittens. Lastly, I sent out the Baby Garter Ear Flap Hat I made to a coworker who had a new baby boy. I hope they like it and I can't wait to see pictures of him wearing it. Now, I'm looking forward to another nice weekend and hopefully some knitting outside!